Case data forms are used to collect information about a candidate. If added to a template or case, case data forms must be filled out as part of creating or editing a case. Case data forms can be attached to a template so that cases based on the template will include the form. 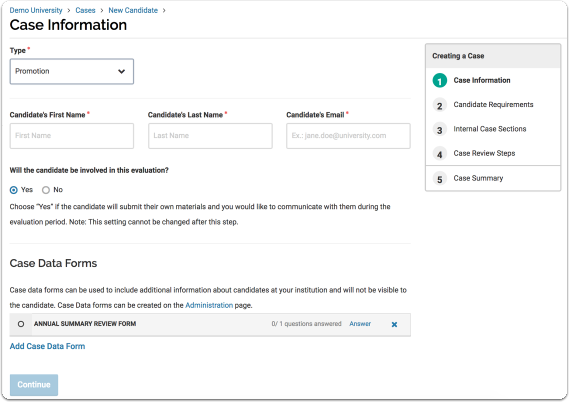 Note that case data forms can only be filled out by an Administrator, and candidates never see the questions or answers on a case data form. This article explains how to answer a case data form when creating a case based on a template. The procedure is basically the same whether creating a case from scratch, editing an existing case, or building a case based on a template. 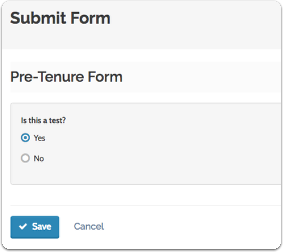 Note that attaching and creating forms are two different processes. See this link for more information on how to Create a New Case Data Form.